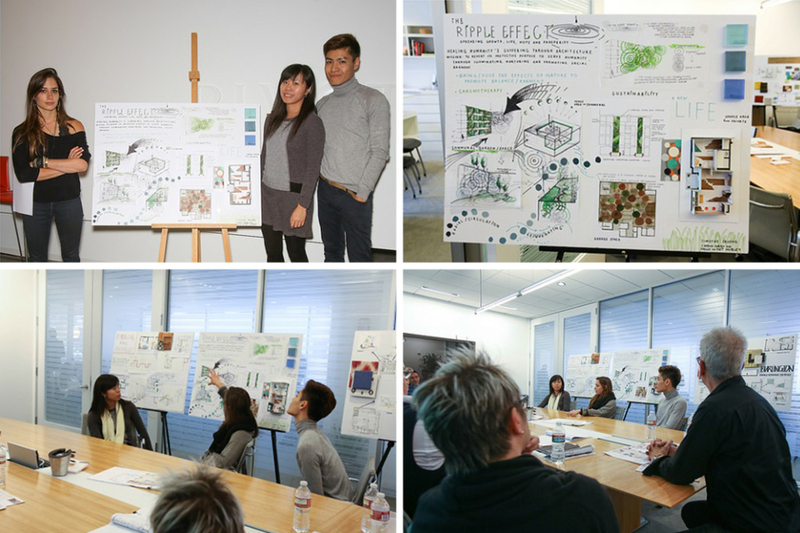 Senior Molly Hubley won 2nd Place in the SoCal IIDA’s 2014 Student Design Charette! Home Competitions Senior Molly Hubley won 2nd Place in the SoCal IIDA’s 2014 Student Design Charette! The Southern California Chapter of the International Interior Design Association hosted its 2014 Student Design Charette Event at Pivot Interiors showroom on February 8, 2014. First and second-place winning entries/teams were chosen (from a total of eleven teams) and awarded prizes of $10,000.00 and $4000.00, respectively. This unique charette competition requires students from different schools to work together as a team. With classical music playing softly in the background, the morning was off to a very concentrated beginning. Eleven student teams from schools across the Southland were in their own little enclaves within the Pivot Interiors showroom, all brainstorming and sketching. Sharing ideas, with a couple teams coming up with, what would be, the winning designs. This was no ordinary Design Charette. These student designers were tasked with creating concepts within a Los Angeles project dubbed the Burlington Family Apartments by Clifford Beers Housing Inc. – affordable family housing units with approximately 50% of these units being set aside for families with special needs. This was, indeed, a project that could leave a lasting effect on all those involved. As we walked through the enclaves, observing these young talents, the students were asking very thoughtful and insightful questions, many overflowing with ideas and excitement, although, there were a few nerves present! Several hours would pass – it’s never enough time – and SCISSORS DOWN! 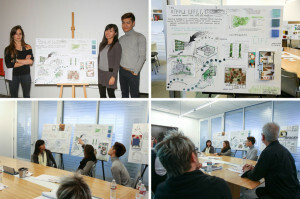 The students gathered up their storyboards and notes and presented their concepts to an esteemed panel of judges – Aram Arakelian of Environmental Contracting Corporation, Viveca Bissonnette of Hollander Design Group, Scott Johnson of Wolcott Architecture Interiors, Cristian Ahumada, Vanessa Luna, Daniel Findley & Kathy Fitzgerald of Clifford Beers Housing. After deliberating for some time, the winners were chosen. Although winners HAD to be chosen, Clifford Beers were so impressed with the concepts and talent that they will be using elements of each team’s designs within the project.